There are many fans in Gibbland who relate to Barry in a unique way. Let’s hear Clara’s perspective about the Gibb boys. I come from a family of seven, and I am the last surviving child. All of my brothers and sisters have passed away, but I am still here. I think of Barry, and I know exactly some of the feelings that he has been experiencing. Losing brothers is heartbreaking. My brothers were my role models and my supporters. When thousands of people are watching Barry perform without his brothers, I wonder if they realize just how challenging that is for him. As with all families, there are conflicts and different personalities; but in the end, they were family. My brothers were all different, but they gave me so much of themselves in their own special ways. I think Barry must have felt a different connection to each brother, and that loss has to affect him every day. This is not a totally sad situation because my brothers are always with me, just as Andy, Robin and Maurice must be with Barry. I remember the best of them, and I smile at their individual quirks and talents. I think that Barry must take a bit from each of his brothers and think of how they would think and act if they were here. I always imagine what my brothers would say to me or how they would react to certain situations or problems or life events. When a new baby is born or a graduation comes up, I know how proud they would be and just imagine their words and reactions. 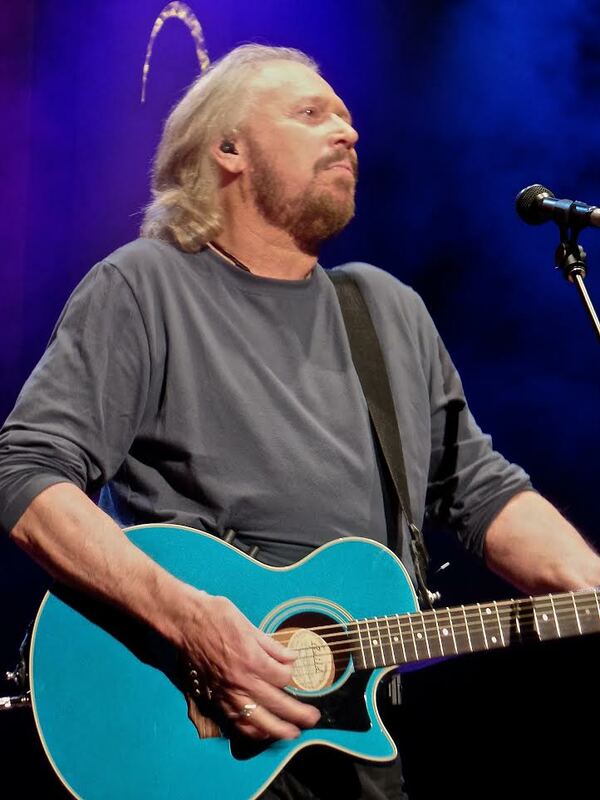 I have respect for Barry Gibb because being the surviving sibling in a big family isn’t easy. Every day there is reminder of one of the brothers, and there is some feeling of loss, but I still carry their love with me. Some day I will see them all again, and I hope that Barry realizes that his family will be reunited one day. The most amazing thing about the Gibb family is that their music will always be around for generations to enjoy, and the new Gibb family members will carry on that music and the legacy that Barry, Robin, Maurice and Andy created. My father created a very successful business that my brothers carried on and now my nephews own, and it will continue to be handed down from generation to generation. There is no better way to honor those we have lost. I pray for Barry and all the Gibbs and know that even though his brothers aren’t visible, they are with him every step of his day. That’s the way I feel, and that’s what gets me through my life. I am grateful for the music and Barry’s strength to carry on, and I have great respect for him. I love and appreciate this story just like all of the others I’ve read here. They are very touching and meaningful, and I look forward to seeing them in pop up in my e-mail. We must remember with this particular story that Barry’s older sister Lesley is alive and involved with her family and activities and doing well. Let’s not forget Lesley! Oh, surely we all remember and think of Lesley! Thank you very much to sharing, I feel the same way, although I don’t have siblings !!! But my mother and father had each 7 siblings, they lost and stand for last , I know this feelings. I love that story. So sorry for your loss Clara.